Tzai Wei Phua was one of the big winners of the recent APPT Manila. His victory in the Mega Stack Shot Clock Big Blind Ante earned him a Platinum Pass, which guaranteed his ticket to the Bahamas next January. During his talk with Somuchpoker afterwards, Tzai shared with us how important this title is to him, as well as the hardship of being a poker player in Singapore. Somuchpoker: You just won the shot clock Megastack for PHP 2.4M and a Platinum Pass on top of it. How do you feel? Tzai Wei Phua : Before the final day I was trying to think about how I would feel, I thought that I would probably break down in tears because it would be a dream come true, but when it actually happened it was so surreal. When the tournament ended all players were out of the event venue because it was during a break, so I was alone with Yisha Chen. On the last hand I overbet jammed the river, she called with worse, I won the hand. After counting the chips, the dealers announced to me “You have won”. I didn’t know how to react, the first thing I did was to message a couple of friends on my Skype that I won. It was so fitting because it was also our National Day. Later when I was alone in my room, I was thinking about how all of this could have happened. I just couldn’t believe myself. I started playing poker when I was 18 in the toilet of my college, and since then poker has held a very important role in my life. I had to sacrifice a lot to pursue my passion. When I thought about this whole journey, this victory was such an accomplishment that it pushed me close to bursting out in tears that night. SMP: Can you tell us about the key moments and key hands at the final table? TWP: The night before the final table I barely had any sleep. I got the final table seating arrangement from the PokerStars Team. I somewhat managed to run through some of the players’ tendencies from a friend of mine who was also at the final table. With those elements I planned which big blinds to attack because I had the chip lead. I also worked on my steal/resteal ranges as well. Starting the final table as chip leader was a big advantage but I fell to 25 Big blinds in a Small blind vs Big Blind confrontation where I leveled myself and tried to 4bet Bluff Q6 preflop and ran into JJ. After that hand I was the second lowest in chips, it really affected me from a psychological point of view but I told myself to keep playing for the win. With my small stack I folded a lot, kept pushing, ran well, won 3 big hands and busted several players until we were only two. In the Heads Up stage, what was interesting with the BB ante Format is that when you are Big Blind Heads-up you have to post two big blinds. I initially underestimated my opponent(Yisha)- assuming that she was super tight and straightforward. Looks were deceiving though and she adjusted extremely well and even secured the chip lead at one point. Credit has to be due to her, she played really well but i guess i ran better. SMP: You mentioned on your Facebook that this victory meant a lot to you. What has it changed for you both personally and professionally as a poker player? TWP: First, about my personal life, my family is still struggling to come to terms with the path I have chosen, to rely on poker to make a living – they do not like it at all. I’ve been doing this for a while, playing online cash games and some live tournaments. I haven’t had much recorded results so I have never really had much to show my family, but they have just started to trust me and with this victory I can finally show them I can actually do it. I’m extremely pleased that now I’ve had something to tell people “You know what, we can actually make money from poker”. I am also happy to show aspiring Singaporean poker players, who have to face a constant stigma, that poker is a legitimate way to earn an income. In terms of poker this has increased my confidence a lot. I’m mainly a cash game player so usually I would do ok in the early stages, but then I have a tendency to mess things up in the middle and late stages of tournaments. Being able to close it this time was a defining experience for me as a player. SMP: Can you elaborate more about your goals for the upcoming months? TWP: I will definitely focus more on my game, but the problem is PokerStars and all major online poker sites are banned in Singapore, so my options are quite limited. I probably will still find sites to play on for tournaments – i like Cards88 – it has pretty soft daily tournaments. I guess I’ll also try to play online outside of Singapore where it’s allowed. I’ll also probably be frequenting the APT, APPT events in the coming months to hone my skills and to get a better understanding of how tournaments should be played, to improve my strategies, to run simulations through PioSolver and ICMizer. Also, I think that i have been fortunate enough to get access to many good players, I always bump strategies with my friends before we sleep or when we go out for a drink. So that’s what I’ll probably do in the next couple of months, spending time to play and work on my game. SMP: You mentioned the difficulties of being a poker player in Singapore. Can you explain to our readers the current situation in your country? TWP: In Singapore at the moment, there’s only one legal poker room, it’s at the Resort World Sentosa. The stakes are 10/20 SGD which is very high and this prices so many players out of the game. On top of that you have to pay a 100 SGD levy each time you go in. And it’s pretty funny that I’ve had friends who win money constantly, but were still made by the government to go for counseling, as though they have “gambling issues” even though they didn’t do anything wrong. They were winning money but weren’t contributing positively to the society – that’s how Singapore sees poker. The next option is to play underground games which are around for sure, but people will have to play in fear that the police will raid the games. Online poker in Singapore is also illegal, people who try to play online will have to play in fear of being prosecuted. So being a poker player in Singapore is very hard. I mean, its sad and funny at the same time, there are an increasing number of Singaporeans who play poker for a living – does this make us all criminals then? SMP: How did it affect you personally as a player? TWP: In junior college I first started playing blackjack because for me it was more fun. When a friend tried to introduce me to poker I didn’t like the idea at first because it was so slow. But after a while, I got so interested in the game that when my friends were going to lessons, I would go to the library, turned on Youtube to watch tutorials for preflop hand ranges. So that’s how it all started. In school, I was playing and got caught. I went to underground games as well in my uniform, people were judging me all the time, like “what are you doing”. It was pretty hard. And in Singapore after finishing Junior College, you will get a Testimonial in which the school writes good things about you. It’s a very important paper to any student, but the school didn’t give me one because I was caught playing poker. On top of that they gave me a bad conduct grade, which was a “fair” while everybody got “excellent” or “very good”. That might have been damaging for me for my future job prospects, for example it would immediately disqualify me for decent scholarships. Then recently, when I was in the Singapore Management University, I wanted to take a Leave of Absence under employment, as besides poker I have also been working for a company. But the school basically gave me an ultimatum: “You either go back to school or we will kick you out, or you will have to withdraw”. So technically I was forced to withdraw, however that was actually a blessing in disguise, because if not for it I wouldn’t be here at the APPT Manila right now. All these restrictions have actually pushed me further to work even harder to prove others wrong, to achieve what I wanted and I guess I had the perfect result here in Manila. Another story is that when I was in the army during my National Service period, I used to run a raked game nearby. This game got raided by the police, and I was thrown into lock-up for 48 hours. It was the most traumatizing day of my life, I felt extremely disappointed with myself. What I did was wrong, running a raked game in Singapore is illegal and I should never have done it. I felt so bad because the moment I was released, my parents looked at me like a degenerate not knowing what he wants in life, just looking to earn a quick buck. I had to apologize to them for what I did. And I was given probation, I had to be home by 10pm every night and wasn’t allowed to leave the country. That was probably the darkest time of my life, all because I just wanted to play poker. So, looking back at that time, I feel extremely fortunate to be able to come to where I am right now. SMP: Despite that, the poker community in Singapore still seems strong and dynamic. What role did it play in your victory this time and your poker journey in general? TWP: To be very frank, the poker scene in Singapore isn’t super healthy. I have to put it on the record even though I do not wish to say it: A lot of players still owe money and are in debt. But even though there are black sheep around, there is still a lot of positive influence in the community. We’ve had Bryan Huang who was sponsored by PokerStars, Wayne Yap who did well in the Aussie Millions this year, or Kenneth Kee who recently won a Triton Super High Roller event. The community on the whole has been extremely helpful to me. Us the Singaporean players, we are still looking out for each other. The day I was on the final table, other player friends of mine kept giving me support messages, people at the event venue were looking out at my opponents on Hendon Mob, giving me advice on what strategies to adopt against different players, telling me to stay calm, giving me certain ranges to follow because I simply didn’t know, I had never played the final table of a major event. There’s also the Singapore Poker League that I have to give a shout out to. Jack Liew is doing a very good job uniting the community although he’s not earning a single cent out of this. 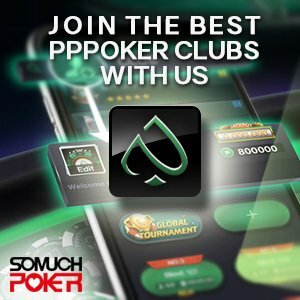 He helps to bring the Singaporean players together, to improve the quality of poker in Singapore, encouraging the players to build their bankroll, etc. But then again one person alone is not enough to cultivate a positive poker culture in Singapore, it might have to remain underground for a pretty long time because our government views poker as illegal and has so many restrictions about it. Ultimately can Singaporean players openly express themselves on the poker felt? That’s a real question. Right now, the only place we can express ourselves is probably abroad. Not only that, there’s also so much stigma surrounding poker players here. The way our family, the society judges us, the way some of my friends judge me, as if you are a degenerate gambler who won’t have any future in life. This makes it such an unconducive environment to play. And this doesn’t only apply to poker but also other fields such as music, art, sports, etc, in which Singaporeans don’t do that well because the government and the society prefer us to pursue a typical life, prefers that we just work hard, study hard to get papers, which is the standard way of life here. It might not be wrong, it’s just not good for poker to grow. It’s a challenge we all have to face. But I feel that my success should be an example for aspiring Singaporean players, as I’m just an average guy who plays in games they also play in. I know them, they know me. I’m just like any of them and I managed to get a Platinum Pass despite all these restrictions. Therefore things can be done if we put enough effort into it. We can do it. But it’s a big hurdle so we would have to work super hard compared to our peers from abroad to achieve the success we want. SMP: Next January you will be playing the biggest tournament of your life until now – the Poker Player Championships in the Bahamas. How are you going to prepare for it? What are your strategies? TWP: Going to the Bahamas is gonna be a big thing, rubbing shoulders with the best players, and I probably shouldn’t be saying this but it’s probably the softest 25K event, because a large part of the field will come from qualifiers or various promotions. I’m gonna cherish every moment of it and will spend the next couple of months doing extreme work on my tournament game so I can maximize my EV. Besides, I think I might get a coach. To anyone reading this article, if you want to take some action in exchange for coaching please feel free to approach me. Probably I’ll play a pretty standard game at the early stages and be more aware of how people perceive me, as I think my image in general is quite bad and I need to know how to adjust it. I’ll also keep discussing hands with my friends like before. The variance in poker tournaments is super high and we can’t do much about it, so let’s try to control what we can to the best of our abilities, and for the rest we have to leave it to fate. SMP: Thank you Tzai and we wish you good luck on your poker journey! Cards are in the air for the Poker King Cup Macau!